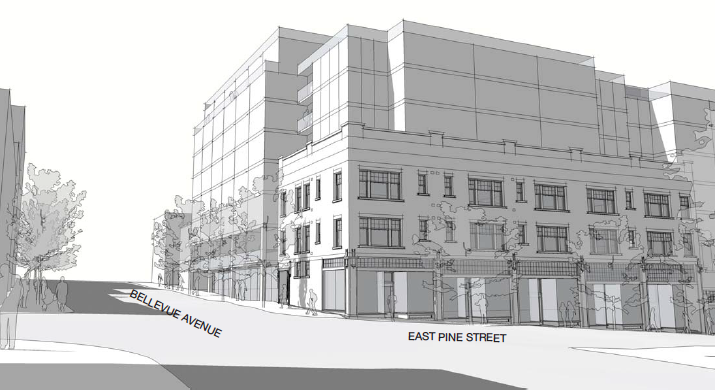 The Melrose & Pine development project will incorporate three “character buildings” with rich histories in Pike/Pine. 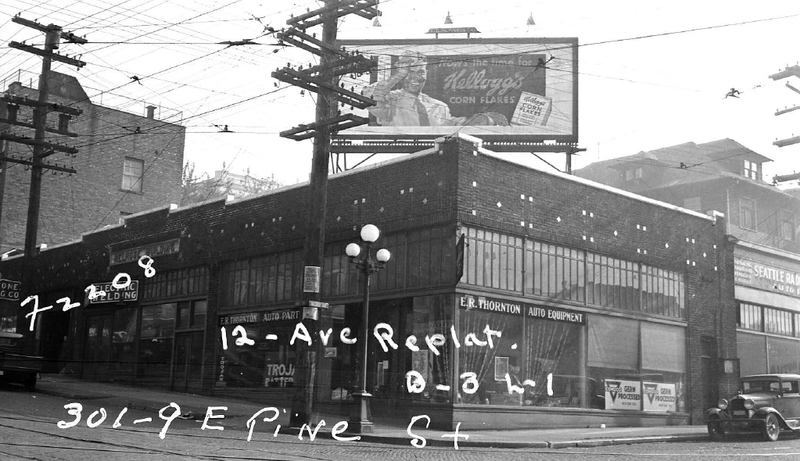 At the project’s first public design review Wednesday night, the Madison Development Group and Hewitt Architects displayed images that capture the old buildings in their heyday and remind us of the preservation opportunity found on the block. 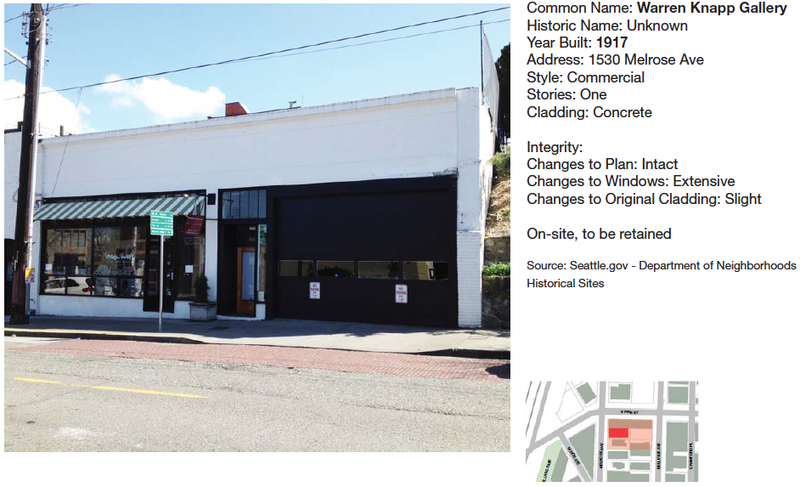 CHS asked the developer and architect if we could share the Puget Sound Regional Archives image with our readers. Thanks to them for sharing. We’ve assembled the images below along with information from the design proposal for the project. 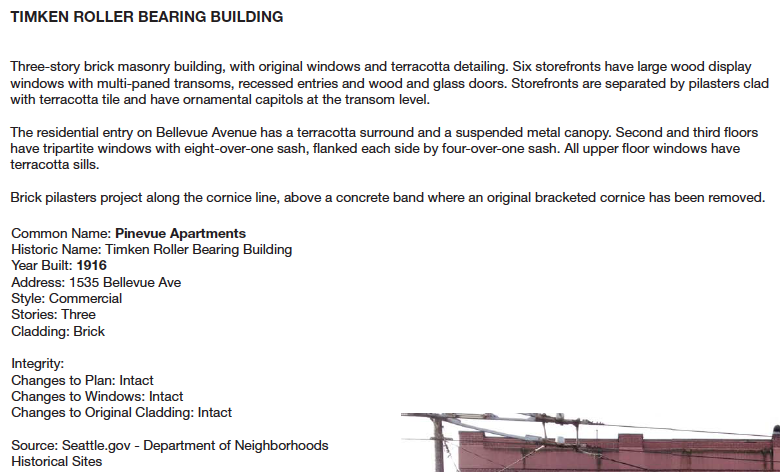 Capitol Hill welcomes its condominium overlords! 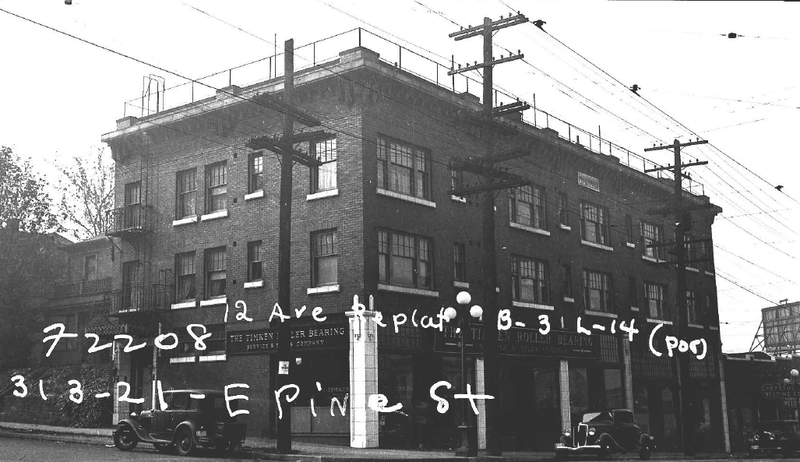 I have no objection at all to new construction per se, but these buildings have all the charm of photocopiers. 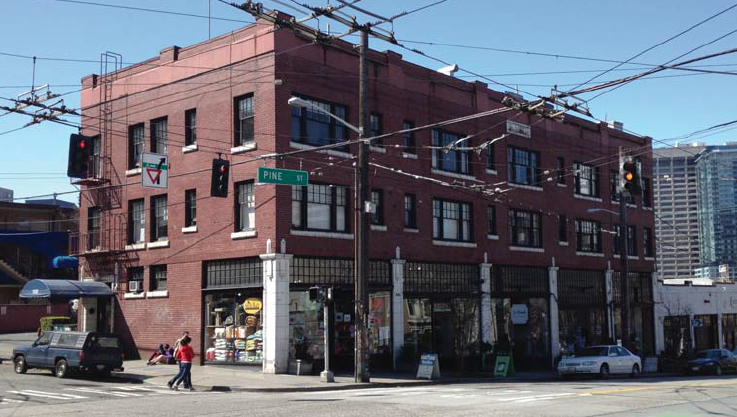 Seattle’s architectural standards are nonexistent, its regulators toothless, and its developers indifferent to the banal soullessness of their legacy. It’s difficult to really _see_ these meaningless piles of cheap masonry, if only because one has seen them so very, very many times before. It’s like trying to distinguish between the dirty pavement blocks which they so resemble. Their graceless dismissal of their environment is exceeded only by the cramped, nasty little spaces they offer their occupants. Oh noes! All the crappy 1-story brick veneer wood frame buildings are being replaced by crappy 6-story brick veneer wood frame (some r/c) buildings. 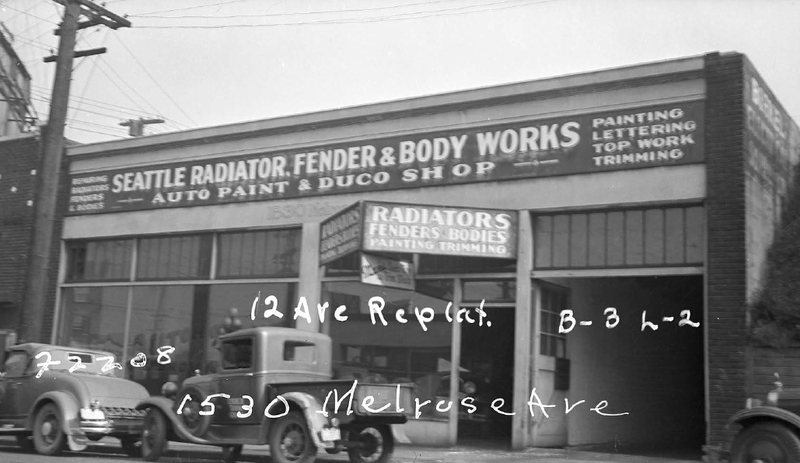 Actually, back in 1915 and 1917 these two were looked upon as groundbreaking architectural marvels – the freaking Taj Mahal of auto body shoppes and the Waldorf Astoria of walk-ups. A developer calls it ‘improving’ or ‘progress’ when they come in and build something new in the place of something old, or, in this case, encase the old with the new. 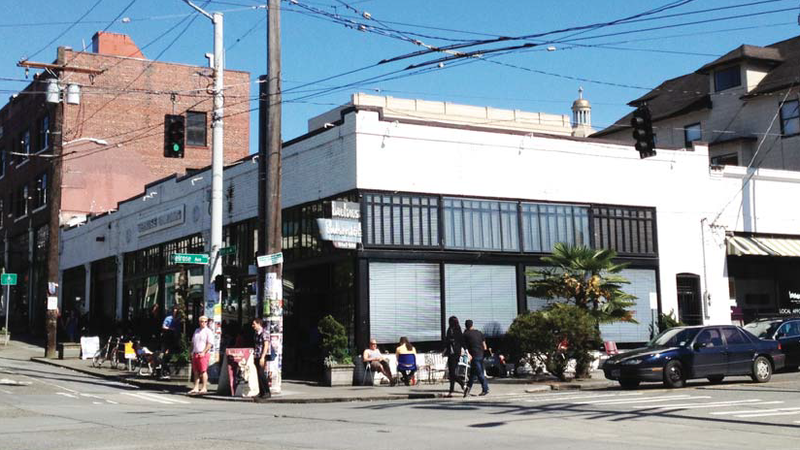 This builder is trying to get the density he wants by trading on the nostalgic among the local board, the P&Z and City Council. What would be an improvement would be to create the building behind it in cohesion with the current two buildings. The architect should be shot. The builder should be hung. The government officials should be dismissed. The last three sentences are for dramatic, effect, don’t you know. 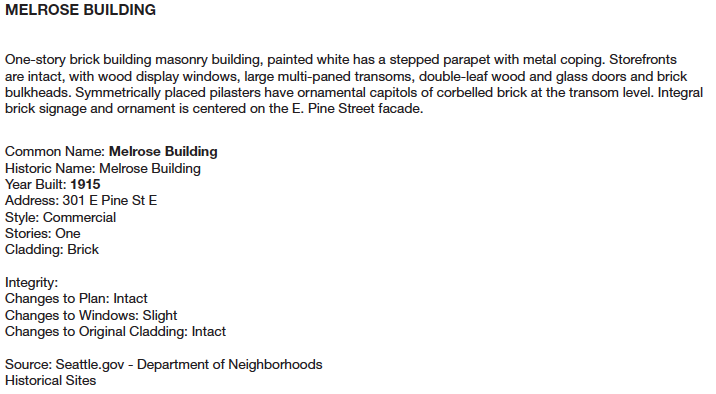 I just wish the builder would build another ‘sameness’ down in Belltown, or better yet, in another city altogether. Auck!